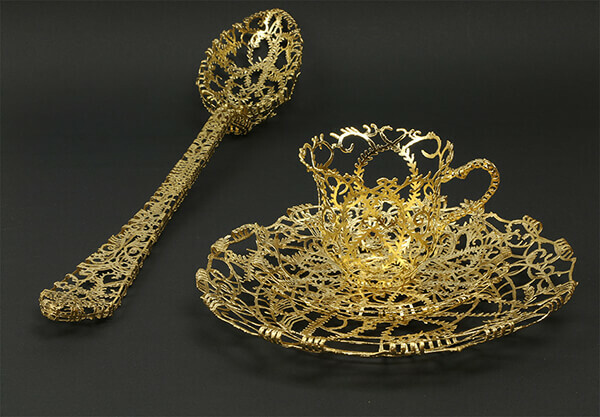 Fascinated by historical European works of silver, gold and porcelain, artist Wiebke Maurer completely transform some everyday tableware into ornate filigree sculptures. 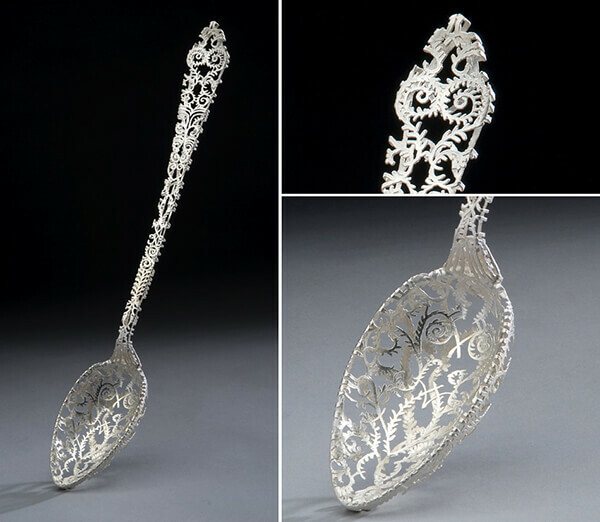 18th-century tableware like bowls, saucers, tea cups, and silverware have re-birthed in Maurer’s hands, although this time they will never be used as functional utensil but treated as art work instead. 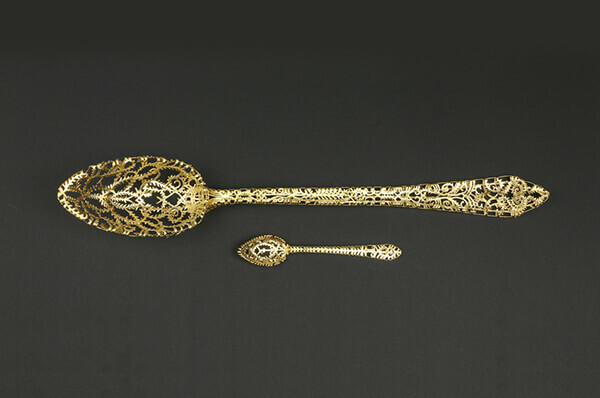 To create things like that, Maurer needs to cut into the gold and silver objects to produce elaborate filigree designs. 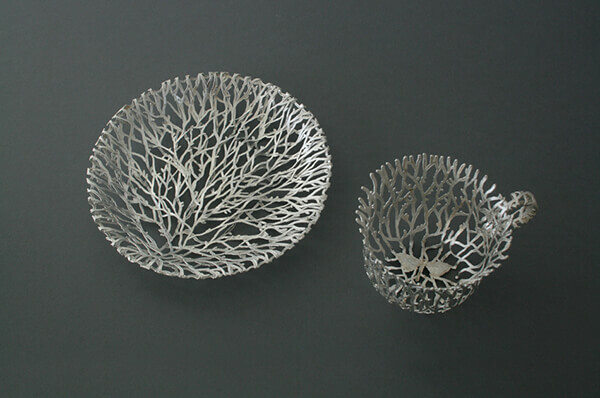 Obviously, those tableware are not usable any more, liquid and food would slip right through the organic-looking designs. 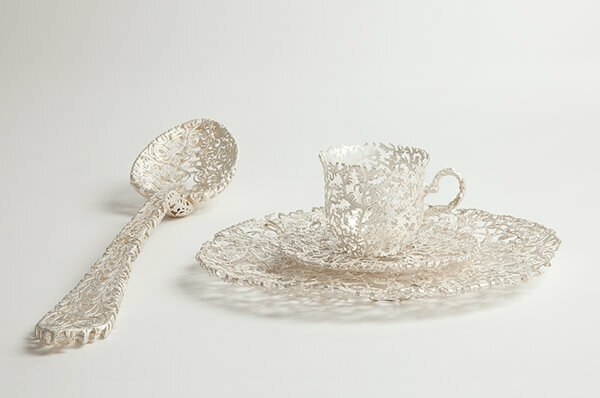 However, you can’t deny how incredible elegant and delicate those works are. 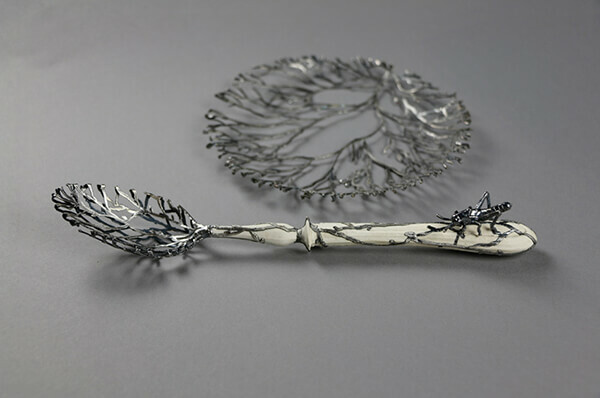 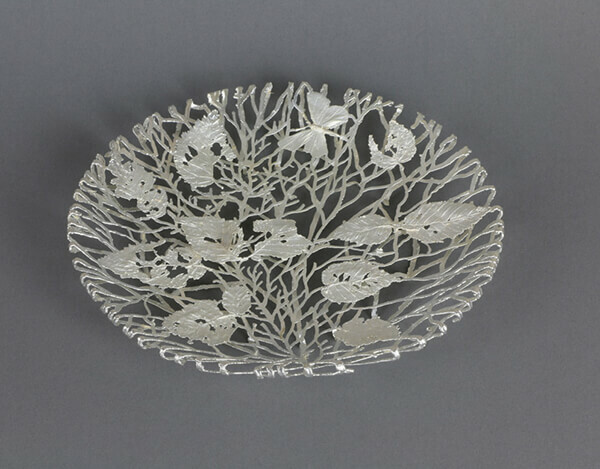 The past and present are harmoniously co-existed in these delicate sculptures.